Murder in Memoriam opens in October 1961. A peaceful protest by Parisian Algerians against French actions in the Algerian War is brutally put down by riot police. There are some ugly and quite unsettling scenes. In all the chaos, one of the paramilitary police breaks free from the pack to murder an innocent history teacher, Roger Thiraud, on his way home from the cinema. It’s a cold and seemingly motiveless crime. Almost exactly twenty years later, and hundred of kilometres away in Toulouse, the same man guns down Roger’s son Bernard in exactly the same fashion. The case falls to Inspector Cadin, introduced negotiating a gravediggers’ strike in a heatwave, and a practical joker accusing upstanding citizens of terrorism. Cadin is a wily cop experienced in the absurdities of police work. He’s moved postings a lot, a result of his talent for making enemies. – By dropping others in it. His bloody-minded devotion to this investigation (in part inspired by his inappropriate attachment to Thiraud’s attractive girlfriend) makes him even more enemies. The roots of the case lie deeply buried in France’s chaotic past, and Cadin manages to let a lot of skeletons out of cupboards. Despite the unpleasantness that underlies this case, the overall tone is light and reminiscent of Andrea Camilleri. Cadin, like Camilleri’s cop Montalbano, is a slight obsessive, adept at blundering through local politics like a bull in a china shop, and has a history of falling in love with witnesses and victims. His team management, consisting of bullying two slightly hapless sergeants, is also similar. Born in 1949, Didier Daeninckx lives in Paris. Recognised as France’s leading left-wing mystery writer, his work is translated into all European languages. 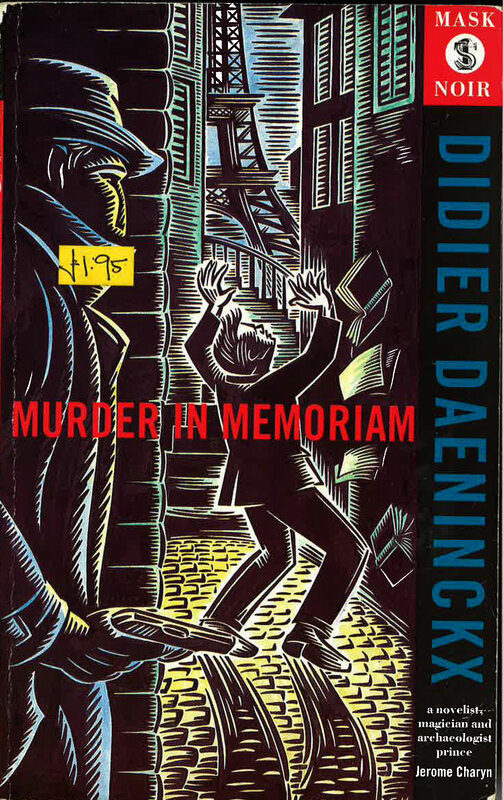 His 1984 novel Murder in Memoriam forced the French government to try Nazi collaborators, led to a life of imprisonment for Paul Touvier and made President Mitterrand declare 16 July a day of national reflection on fascism and racism. Gallery | This entry was posted in Classic mystery book review, Witness Statements and tagged 1980s, Didier Daeninckx, France, Serpent's Tail. Bookmark the permalink. Sounds like an interesting book, but how on earth do you pronounce his last name? No idea – it’s difficult enough typing it! The book sounded intriguing, but not out-of-the-ordinary – but then that biography caught me just as it did you. How impressive.